Vladimir Putin's frosty relations with the West just got icier with Europe extending sanctions until 2016. The continuing conflict in eastern Ukraine prompted the European Council decision to prolong economic sanctions against Russia by six months to January 31. Travel bans and asset freezes are also in place for certain Russian individuals and companies until September. The move foreshadows more pain for Russia's economy which has suffered under the weight of sanctions imposed by the U.S. and Europe last year. In April, the country's Prime Minister Dmitry Medvedev estimated that the total cost of the Western sanctions was just over $100 billion. Europe has long argued sanctions send a powerful message to Russia that its actions in Ukraine will carry a heavy economic price. "Illegal annexation of territory and deliberate destabilization of a neighboring sovereign country cannot be accepted in 21st century Europe," the European Council said in July 2014. Evghenia Sleptsova, an economist for Oxford Economics said limits on borrowing imposed by the West have dealt the sharpest blow. "Long-term borrowing has been completely stopped...[companies] have had to slash their investment programs...and that hurts the Russian economy," Sleptsova said. Moscow retaliated by prohibiting most Western food imports. Russian state media reported Monday that the Kremlin plans to step up its attack to the latest move by Europe by extending its ban on the region's food imports. Western sanctions have left Russia even more vulnerable, especially with last year's 50% plunge in oil prices. The country relies on oil and gas exports for about half of government revenue. The impact of its trade war with the West and low oil prices have knocked Russian trade. Imports fell 40% in the year to April, Oxford Economics said, and more pain is to come. 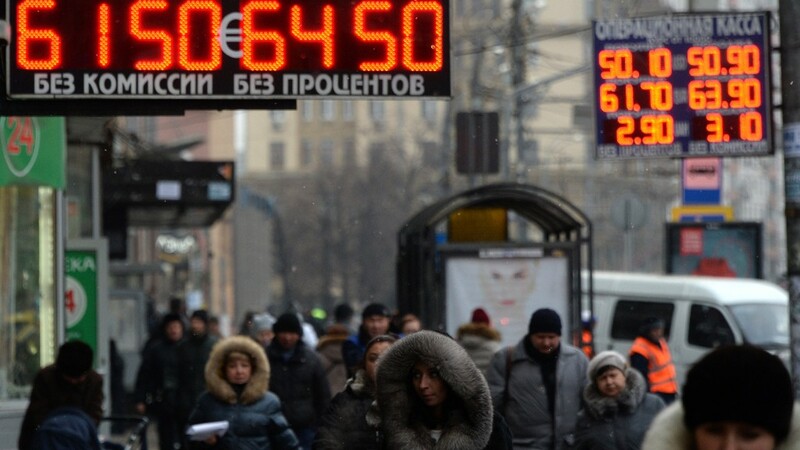 It forecasts Russian GDP will shrink by 3.5% this year, returning to only modest growth in 2016. - CNN's Alla Eshchenko in Moscow contributed to this report.